Why does my body need Shakeology? A coach, who also went to school to be a dietician, commented on my Facebook profile last night. 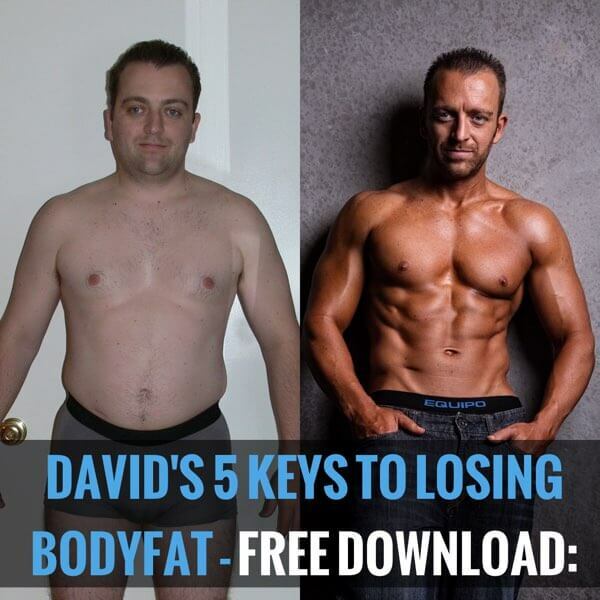 He was struggling with promoting Shakeology because he believed in a better alternative (just eating healthy)…. You can see his message below and my reply to him below that. I had made a video about BELIEFS and how a lack of belief can hold you back as a coach. He was replying to that. I have an honest question that is making me struggle with my business, because it’s preventing me from achieving Success Club. I went to college for 5 years to study to become a Dietitian. I have a hard time promoting Shakeology simply due to the fact that I believe healthy eating is the best way to become healthy. I became a coach back before we had Shakeology, and I have been struggling ever since Shakeology was released. I absolutely love the workouts and truly believe in them. I just feel that a healthy diet provides more bioavailability than a supplement. Although I know Shakeology is the best meal replacement on the market. I seem to have more success with others when I get them to commit to a clean diet and exercise. Is there any advice you can give me on this subject? I greatly appreciate it. I appreciate your honesty and the fact that you trusted me enough to share the struggles you are having with promoting Shakeology with me. I agree that it sounds like the lack of belief is what’s holding you back. Hopefully I can help you through that. I think we can all agree that the traditional approach of telling people to “just eat healthy” has failed society. With 7 out of 10 people now overweight and the #1 cause of death being obesity, heart disease, diabetes, high blood pressure/cholesterol, it’s pretty clear that the traditional approach has failed. We’ve given dietitians and certified nutritionists a chance… it hasn’t been working. It didn’t work for me personally. We needed a NEW APPROACH. That NEW APPROACH WAS SHAKEOLOGY… and based on the results all around us, SHAKEOLOGY IS WORKING! I believe it’s because people have been TOO BUSY and there are too many EASY FOOD CHOICES available that are UNHEALTHY (See: Fast Food). When it’s SO EASY to ‘grab and go” with crappy food, but eating healthy is a chore, it’s clear why people are eating from the dollar menu. Shakeology gives people a SIMPLE, “GRAB & GO” FOOD CHOICE that is EASY, and SUPER HEALTHY. 9 servings of fruits & vegetables, daily vitamins from whole food sources, probiotics, digestive enzymes, proteins & healthy carbohydrates, etc. The other problem is that when people DECIDE to diet, they cut so many good foods out of their diet that they aren’t getting the 27 essential daily micronutrients that their body needs each day. Prevalence of micronutrient deficiency in popular diet plans, found that research has shown micronutrient deficiency to be scientifically linked to a higher risk of overweight/obesity and other dangerous and debilitating diseases. With more than two-thirds of the U.S. population overweight or obese, and research showing that one-third are on a diet at any given time, a need existed to determine whether current popular diet plans could protect followers from micronutrient deficiency by providing the minimum levels of 27 micronutrients, as determined by the U.S. Food and Drug Administrations (FDA) Reference Daily Intake (RDI) guidelines. -All four diet plans failed to deliver 100% sufficiency for the selected 27 essential micronutrients, based on RDI guidelines, when followed as recommended by their suggested daily menus using whole foods alone. -A typical dieter on any of these four popular diet plans would be, on average, 56.48% deficient in obtaining RDI sufficiency, and lacking in 15 out of the 27 essential micronutrients analyzed. -It was found that 100% sufficiency was possible for all 27 essential micronutrients only when daily calorie intake requirement averaged 27,575 calories. This extreme calorie intake requirement is, in the opinion of this researcher, impossible and/or medically unwise to obtain and/or sustain. -The implications of this study are significant, and far-reaching. Micronutrient deficiency has been shown to cause an 80.8% increase in the likelihood of becoming overweight or obese  and is scientifically linked to a higher risk of other dangerous and debilitating diseases, including resistance to infection, birth defects, cancer, cardiovascular disease and osteoporosis [5-7]. You can get all of these micronutrients in Shakeology. – The latest studies on vitamins have some medical experts saying “case closed.” It’s time for most consumers to stop wasting money on multivitamins and other supplements, because they have no proven benefits and some possible harms. – “What we’ve found time and again is that the supplements are not working… we don’t need to go on studying them forever,” said editorial writer Eliseo Guallar of the Johns Hopkins Bloomberg School of Public Health, in a telephone interview. Multivitamins don’t work because they are produced in a lab with chemicals. Our bodies need vitamins and minerals from WHOLE FOOD SOURCES… like in Shakeology. When you say that “eating healthy is the best way to get healthy,” I guess it’s how you define BEST. I would describe that as “IDEAL”. It would be IDEAL if people were knew all the right foods to eat to get all the essential nutrients their body needs to function. It would be IDEAL, If they had good habits and took the time to shop at farmers markets and purchased the right variety of foods. It would be IDEAL if the soil in this country wasn’t depleted and the bio-availability of vitamins & nutrients in our agriculture weren’t declining. The BEST solution is the one that people will actually USE! Based on the success of Shakeology (and the Beachbody Challenge), people are actually USING IT!! But I ask you, why choose ONE OR THE OTHER (Healthy eating vs. Shakeology)? Why not choose BOTH? I teach people how to eat healthy. I educate them on food and I help them build new habits around grocery shopping and meal prep. I teach that in my challenge groups. It takes TIME. Shakeology is a quick answer, an easy way for people to improve their nutrition & health OVERNIGHT. It’s the foundation of my nutrition plan, and it’s a really good insurance policy for people who aren’t making the best food choices. I give people BOTH. I’ve seen so many amazing success stories with it! My wife Kate who was stuck at a weight-loss plateau for 9 months while eating super healthy and working out twice a day.. until she added Shakeology to her diet and BAM, broke through and lost 13 lbs in 90 days! Getting down to her lightest and healthiest since before our wedding day! Or my friend Jeff, who was on 5 medications for stomach ulcers and IBS for 12 years… and within 60 days of Shakeology, he was off all meds and all of his ulcers had healed. Perhaps you’re missing out on experiencing these success stories, which help build belief! You’re a dietician, you want to teach people to eat healthy, that’s awesome… but maybe you could ask them “how would you like to get started? The EASY way (Shakeology, while learning why to eat as we go), OR the HARD way (changing all your habits now & learning what to eat)?” I choose to give people an easier way… to help people change RIGHT NOW (with Shakeology) while teaching them about nutrition along the way. Lord knows they need it! With McDonald’s, Redbull, and these grocery stores providing so many easy unhealthy options, spending billions in marketing.. people need an EASIER and BETTER option NOW!! Is Shakeology the only way to get healthy? NO…of course not! Besides, it’s only 160 calories and it’s a small part of a daily diet. But I believe Shakeology is a GREAT tool! It helps people get control of their diet, to increase energy and improve digestion of ALL the food they eat. I BELIEVE people are BETTER OFF when they have it. And because of my own experience and so many people who have thanked me for it, I BELIEVE in it and RECOMMEND IT! I hope this helps. I took the time to give you a well thought-out response, and share a small glimpse of my experience with it. Because of your honesty and struggle, I thought you deserved it. Thank you David. I really appreciate your comment. I am very happy that you took time out of your day to go into details about my question. You definitely helped me out. I’ll definitely take your advice and incorporate it into my teachings. I’ve asked many coaches to help me with this issue, and I either never get a reply or get a simple reply that doesn’t give me a great answer. Thank you again! Would you like to try Shakeology?